Johnny Palazzotto, a 43-year veteran of the entertainment industry, has become synonymous with discovering new talent and putting Louisiana artists on the international map, thus earning him a music business Lifetime Achievement Award from Offbeat Magazine (2011) as well as an induction into the Southern University Jazz Hall of Fame (2002). His work also landed him a spot on the Board of Governors’ Memphis Chapter of the Recording Academy. The Baton Rouge native has helped to shape the careers of dozens of artists including Loggins & Messina. He has managed artists, auditioned and signed new writers, filed copyrights, negotiated contracts for recording artists, produced and distributed albums, and produced concerts from Los Angeles to Louisiana. Palazzotto is co-founder of Baton Rouge Blues Foundation,Inc. He currently produces the Slim Harpo Music Awards and presents Music in the Schools throughout Louisiana. This program introduces elementary, middle school and high school students to a music curriculum beyond the origins of all-American blues to gospel, rock and hip-hop. For 17 years, Palazzotto presented Baton Rouge Blues Week in conjunction with the Blues Festival including artists such as: Luther Kent, Clarence Gatemouth Brown, Luther Allison, Johnny Adams, Percy Sledge, Ruthie Foster, Sonny Landreth, Bonnie Bramlett, Earl King, Philip Guy, Coco Montoya, Derrick Trucks, Bobby “Blue” Bland, Delbert McClinton, Jimmie Vaughan, Lou Ann Barton and Tony Joe White among local Blues Legends, Tabby Thomas, Henry Gray, Raful Neal, Larry Garner, ChrisThomas King, Kenny Neal. has produced a Blues Week TV special airing on Cox 4, in New Orleans, Lafayette and Baton Rouge, artists featured Mose Allison and Henderson, LA native Roy Hayes, who wrote “I’m Gonna Be a Wheel Someday” (later recorded by Fats Domino, Paul McCartney, and Sheryl Crowe). His other business interests are music publishing companies, Ertis Music and Rhythm Nation Music, affiliated with ASCAP and BMI. Palazzotto proved his penchant for spotting talent as early as 1970, when he introduced via Curtis Amy to Ode Records’ Lou Adler in Los Angeles the “salt-and-pepper” band, “Cold Grits & the Black-Eyed Peas” featuring Duke Bardwell, Luther Kent, the Miami Criteria Studios session men Harold Cowart, Jimmy O’Rourke and Tubby Zeigler plus three African American teen girls. This introduction evolved into a recording agreement for the band. As professional manager of Portofino Music, Palazzotto gained in-depth insight into the music publishing industry. During his tenure, covers were secured on artists such as Rita Coolidge, Bobby Vinton, Skeeter Davis, Michael Nesmith, Bob Luman, Garland Frady and Lynn Anderson. Anderson’s cover of Jimmy Messina’s “Listen to a Country Song” went to No. 2 on the Billboard country charts. 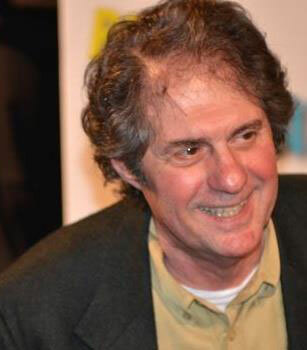 Palazzotto participated as a judge for the American Song Festival, where he judged a young songwriter by the name of Bruce Hornsby (1974), who won the top award. He also represented Bobby McFerrin during McFerrin’s days in New Orleans (1979). Besides the Cold Grits project, Palazzotto engineered a recording agreement with ABC Records in Los Angeles for Louisiana country-writer-artist Butch Hornsby, whose album was produced by Cyril Vetter at Malaco Studios in Jackson, Mississippi. (1975). He secured a cover recording on the Cajun National Anthem “Laissez Les Bon Temps Rouler,” written by his business associates Julie Didier and Casey Kelly. Laissez enabled Palazzotto to establish his publishing company, Ertis Music Company. He engineered and negotiated a recording agreement for Ron Cuccia’s Jazz Poetry Group with Takoma Records, which he also co-produced with Denny Bruce (1979) the album was recorded by legendary recording engineer Cosimo Matassa. During his years in Los Angeles (1969-1980), Palazzotto secured a recording contract for Los Angeles band Blue Heaven with Epic Records featuring Bonnie Murray Tamblyn. The album was produced by Jack Richardson. He also managed ex-Fairport Convention member Iain Matthews through two albums on Columbia (1975-76), and secured Nik Venet for Matthews’ highly acclaimed Hit and Run album. Upon his return to Louisiana (1981), Palazzotto joined up with Baton Rouge rock group The Times (US) and co-produced two albums, both of which received extensive college radio air play throughout the United States and were on the cutting edge of “new music.” He provided invaluable counsel for guitarist Gregg Wright, exposing Wright to Michael Jackson at a performance in Los Angeles (1980). Wright went on to be lead guitarist on Jackson’s Victory Tour. Palazzotto operated Skratch Records in Baton Rouge (1982-85), releasing, marketing and distributing albums on bluesman Kenny Acosta and new wave rockers Living Links, in addition to The Times’ recordings. During this period he also worked as entertainment coordinator for restaurant-bar The Chimes, hosting live acts such as Soul Asylum, The Georgia Satellites, Drivin’ n Cryin’, Jesse Winchester, Leo Kottke, Dr. John, Leon Redbone, and Willis Alan Ramsey. He also brought Dinosaur Jr. and The Meat Puppets to another Chimes Street bar, The Bayou. He signed Zydeco artist Major Handy (1985), recording and producing Wolf Couchon, which was licensed to GNP/Crescendo Records from Pal Productions Co. and released in the United States. The same recording was also leased to Bedrock Records in London (1988) and has worldwide distribution as a result of a meeting at MIDEM in Cannes, France. Two other Major Handy recordings have been released by Maison de Soul on the 101 Proof Zydeco CD and are also internationally distributed. Both were produced by Palazzotto through Pal Productions. Palazzotto worked as production coordinator for Deacon John’s Jump Blues Concert (Vetter Communications) and coordinated entertainment for Louisiana Governor Mike Foster’s inaugural balls. More recently he founded the annual Slim Harpo Music Awards and has for the past 18 years presented Music in the Schools throughout the State of Louisiana. The music veteran has produced three compilation CD albums: Back to the Big Easy, featuring “Bayou Country” and “Pride and Joy,” the original Fest For All compilation, featuring Henry Gray, Red Stick Ramblers and John Lisi and Capital City Blues, featuring Slim Harpo, Raful Neal, Luther Kent and Larry Garner. The newest aspect to Palazzotto’s career is “Louisiana’s Rhythm Nation,” a video series featuring more than a decade of coveted, one-hour interviews with artists such as Mose Allison, Irma Thomas, Marcia Ball, Tom Rush, Tab Benoit and Gatemouth Brown, among others. His interests in the commercial film industry include current work on a fourth compilation album of Louisiana artists, this time to submit to music supervisors for film projects. The New Orleans classic “My Darlin’ New Orleans,” (written by Ron Cuccia, Ramsey McLean and Charles Neville and published by Ertis Music/Nevkat) was featured on the Grammy-nominated soundtrack for HBO’s Treme and was the closing credit music for the first episode of the highly acclaimed program.